I’m so stinkin’ excited to show you my pumpkin specimen art! I’ve been wanting to create specimen art for months, so I’m over-the-moon excited to finally have gotten it done in time for Fall! Pumpkin stencil, silhouette machine or make your own pattern with this clipart. 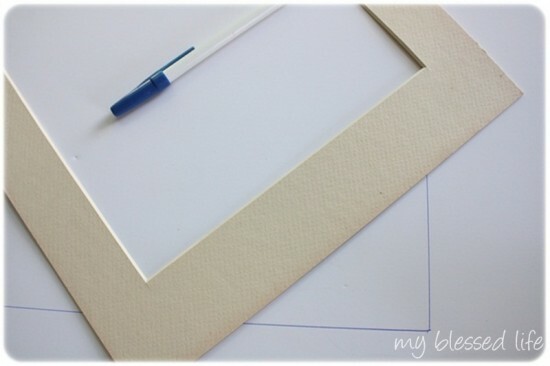 After giving my $2 yard sale picture frame a good coat of oil rubbed bronze spray paint, I used the mat that came with it to outline the size of foam board to cut. 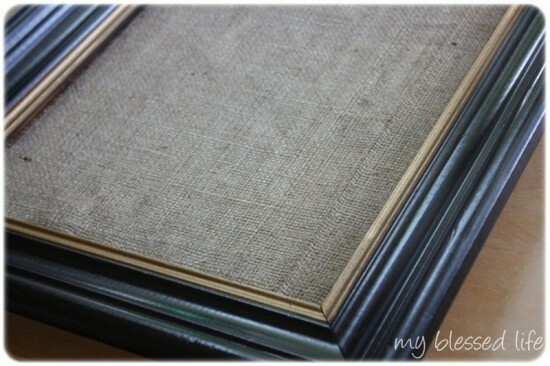 Next, I cut a piece of burlap and hot glued it to the foam board around the edges. The spray painted frame looks beautimous now! I taped off the gold edge because I thought it would really pop with the bronze and burlap. I really like the extra detail too. I determined how many pumpkins I wanted to use and what size they needed to be. Then I resized this pumpkin clip art in my silhouette machine to be 2″ wide. 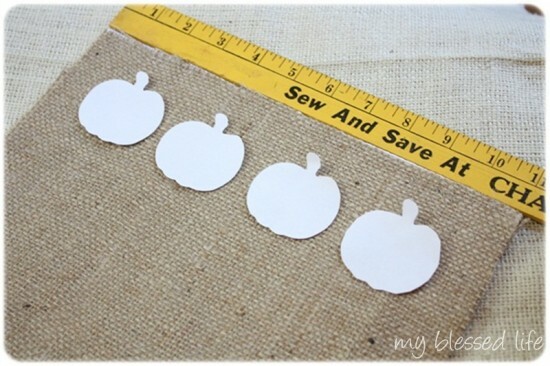 I cut out four “test” pumpkins out of copy paper so I wouldn’t waste scrapbook paper. I then cut out 16 pumpkins out of various papers that I scored at Hobby Lobby on sale. Woot!! I lined the pumpkins out to see what papers looked best together and to break up the polka dots. Ha! 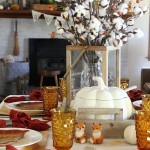 Did you notice how the pumpkins stood out away from the burlap? Well these handy dandy felt pads did the trick. I stuck one on the back of each pumpkin and then I hot glued the pumpkins to the burlap. I used my ruler to line up the pumpkins. Once the pumpkins were all glued down, I dug out my yard sale Scrabble set and found the letters for “pumpkins” and glued those down as well. 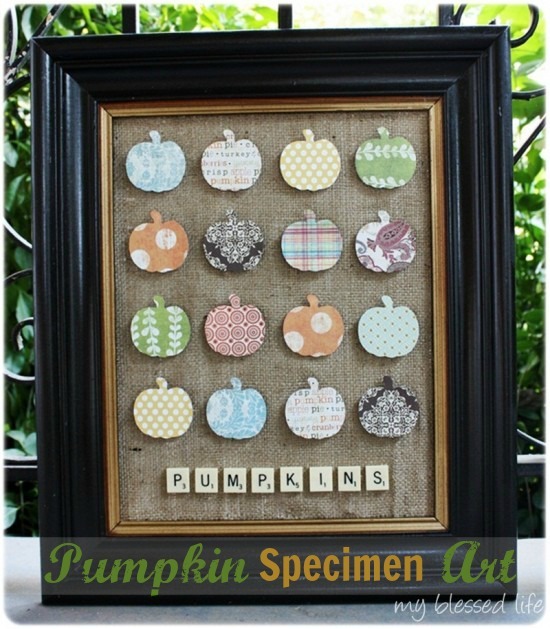 I love, love, love my pumpkin specimen art! It’s hanging in my living room above my apple green desk. 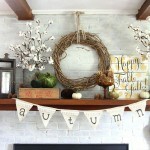 Have you gotten into a Fall decorating mood yet? I’m linking up to Made By You Monday, Tip Me Tuesday, Tips & Tutes, Today’s Creative Blog, Fall Frenzy Party, I’m Lovin’ It, Weekend Wrap Up Party and Fall Nesting Party! This is so cute! You could do this year round with different images. Love the scrabble tiles with it too! Awesome idea…thanks for sharing! This is adorable. 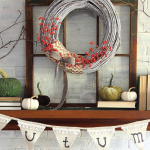 A perfect fall project. This is so cute. I want to make one! Now. You could definitely change the images as the seasons go by. This is exactly what I was looking for! thank you thank you thank you for the inspiration!! This is soooo cute! Keep the ideas coming….. VERY cute. I’m with you- I’ve been wanting to do one of these specimen pieces… really need to get to that. Love those scrabble tiles! Such a cute idea. I love this! Just wish I had read it before I did all my craft supply runs this morning! You’ve got such a gift, Myra! OMG! I love your pumpkins. SUPER cute! 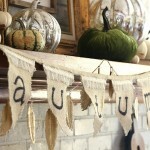 I totally have a Martha Stewart paper punch in the shape of a maple leaf that would be an adorable variation on this. Thanks for providing some much-needed inspiration! This is lovely! I like it! So inspiring! How fun to switch up for the season with different ‘specimens’!!! Great job!! this is SO cute. LOVE it!!! oh i want me a silhouette machine. Myra I love this project! I’m not typically a fan of lots of pumpkins for fall decorating (too halloween-y) but I love how playful this is, and the colors are so fresh for fall! So cute! I love all of the different patterns! Those pumpkins are so cute! Thanks for sharing : ) I’m hosting a Halloween link party now through the end of November. Stop by anytime! what an adorable idea! i love the simple.sweet look of it. 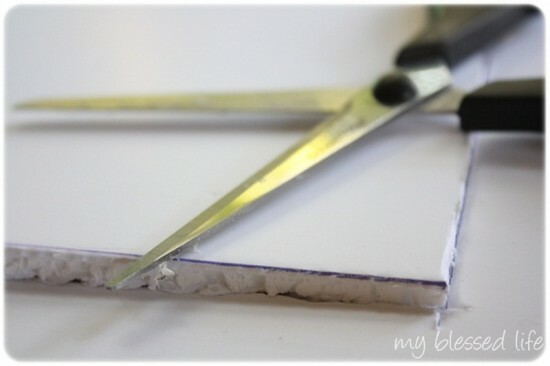 What a genius way to do this, using the felt pads! That turned out great! This is SO fabulous! I LOVE it & may actually have to give it a try!!! This is so adorable! I especially love the scrabble tiles! I think your idea would be perfect for my brand new linky party! 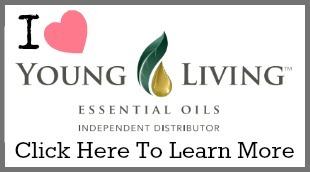 Paige´s last blog post ..creative genius link party! This is soooooo darn cute! If only I was somewhat crafty! Oh and if I had just an hour a day to myself….hahahaha just gave myself a great laugh:) I love seeing all your great ideas! Just wanted to let you know that I featured you on my Friday Favorites! 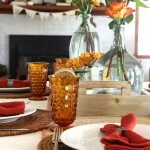 Paige´s last blog post ..Friday Favorites – all things pumpkin! Cute! I love the Scrabble tiles! Adorable Myra!! I love it. I featured it on my TT&J facebook page. Have a wonderful Saturday! 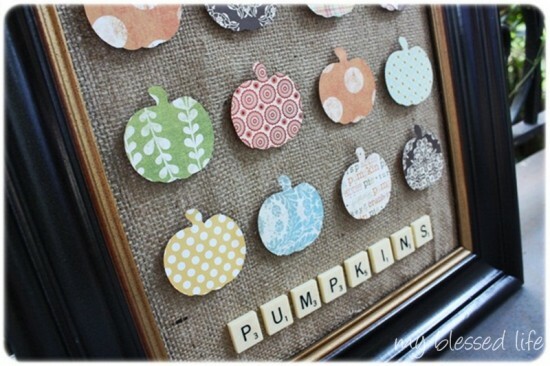 So crafty and cute. 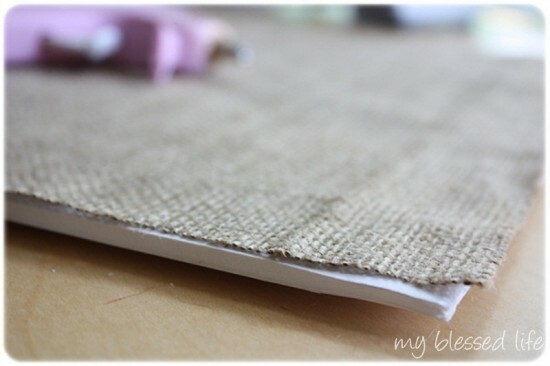 LOVE that you used the burlap backing. Oh I love this and already see hearts for Valentine’s Day! I love this! Plus it’s a great use of my Silhouette machine and can be changed depending on the season or theme. A great idea!! 🙂 I also love the texture the burlap adds to it. This looks like something my older kiddos can do with me, thanks! I love this! I was wondering how you got your silhouette to cut out the pumpkin? When I import it to my library I can only get the cut line to be in a box around the pumpkin, not the pumpkin shape. Thanks!! 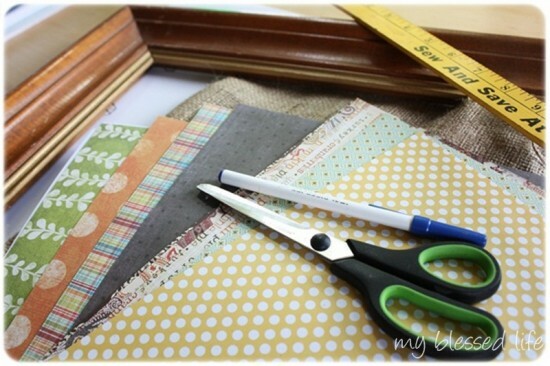 I love the burlap and this is a great way to use the beautiful scraping paper in my stash. I’ll bet you got the felt pads on a great sale. 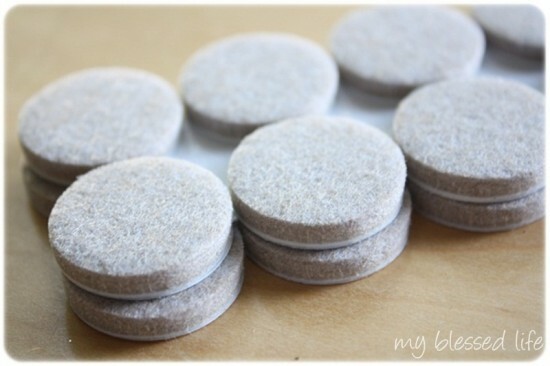 In a pinch, scraps of heavy felt or thick cork would work. So cute, Jessica! Thanks for sharing!! What a smart idea to use the little felt rounds to give your pumpkins that 3D effect! It takes the art to another level! 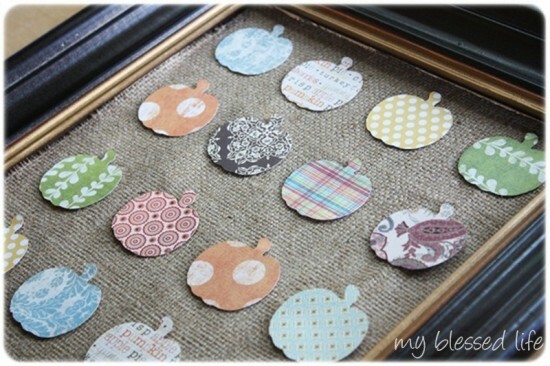 What a cute and easy project! Thanks for the inspiration. MyBlessedLife.net is a delightful, encouraging blog committed to inspiring you to creatively thrive at home through diy home decor, easy recipes, seasonal projects and more! A beautiful home is more than meets the eye: ultimately, it's a matter of the heart. Won't you join me on this amazing journey?